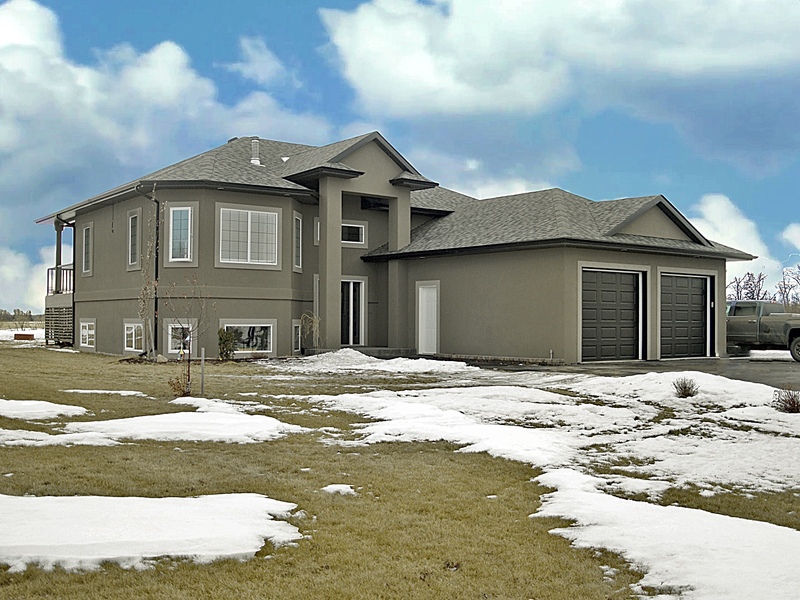 A beautifully fully finished family-friendly INSULATED CONCRETE FORM CONSTRUCTION (ICF) home & acreage in the Gull Lake Subdivision of Lakeview Estate. An upgraded bi-level on a 1.25-acre lot. A wide corner lot that would accommodate access if you were to build an additional garage/shop. The home is fresh, modern, and well kept. The kitchen features European cabinetry, Silgranit sink, corner pantry, hanging vent hood & stainless steel appliances. The master suite has an attached room that the owners use as a nursery but could double as a pocket office, den or dressing room / walk-in closet. The bathrooms are all custom tiled. Must see – custom-built sauna part of a large basement bathroom. Upgrades include insulated concrete form construction, in-floor heat downstairs, acrylic stucco, triple pane windows, covered deck w/ pot lights, central vac, humidifier, HRV system, central air conditioning & on demand hot water. The garage is finished, heated & includes a 2 piece bathroom. New roof summer 2017. ← 90 Maxwell Avenue • fully renovated • must see!